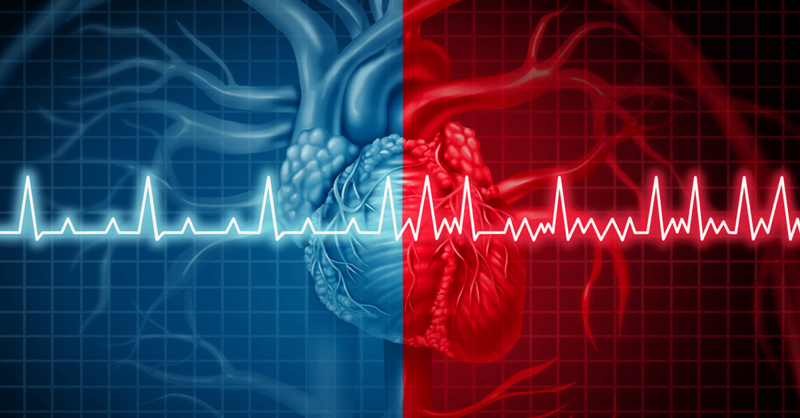 The main danger of living with atrial fibrillation, or Afib, is that it increases your risk for stroke. With Afib, an irregular (often too-fast) heartbeat causes blood to pool in the left atrial appendage (an upper chamber of the heart), where it can form into a clot that can travel to the brain and cause a stroke. At the same time, Afib is the number one preventable cause of stroke. Taking a blood-thinning medication called an oral anticoagulant can prevent clots from forming. But there is a downside…anticoagulants can increase your risk for significant bleeding by about 2% to 4% per year. The challenge is to figure out for whom the benefit of taking these drugs outweighs the risk. People who score zero have no increased yearly stroke risk due to Afib. The yearly risk for a score of one is just under 1%, and the risk increases as your score goes up. Recheck your score every year. Scores change over time, especially as people age. In fact, a study of about 14,600 people newly diagnosed with Afib found that patients initially considered low risk according to CHA2DS2-VASc and not prescribed an anticoagulant had about a 40% risk of moving into a high-risk range within three years. Within a single year after diagnosis, 16% of the patients in the study had added at least one point to their score. Have your doctor individualize your score. There are some gray areas in the scoring system, notably for people with a score of one. For example, if you scored one point only because you’re a woman—and you have no other risk factors, taking an anticoagulant might convey more risk than benefit. On the other hand, if you have a score of one and are just one year shy of age 65 or 75, the benefit may outweigh the risk. Similarly, the risk of bleeding is not the same in every patient, and this can be estimated by your doctor by using a different assessment called the HAS-BLED score. These variations are perfect examples of why treatment should be personalized. If you have Afib, the best decision for you will come from a discussion of drug risks and benefits with your doctor and some shared decision-making. Important if you take fish oil/omega-3 supplements: Fish oil is not an anticoagulant and should not be used as a substitute for one if you have Afib. That being said, there is much controversy about the perceived increased risk of bleeding in patients taking fish oil for other health reasons. Though high doses of omega-3 fatty acids including fish oil may increase bleeding time, clinically significant bleeding has not been clearly demonstrated in studies of people who were on anticoagulants and took these supplements, nor has evidence been found of increased risk of bleeding or serious adverse events with the addition of fish oil. So, once again, the recommendation is for individualized decision-making and discussion with your physician about whether the benefits of continuing fish oil supplements when starting an anticoagulant outweigh the still-unproved risk of bleeding. It should be noted, however, that nonsteroidal anti-inflammatory drugs (NSAIDs), such as ibuprofen and naproxen, should be stopped or minimized while on anticoagulants, as they can increase not only the risk of bleeding but also of stroke. Also, if you were taking aspirin prior to starting a blood thinner, talk to your doctor about whether you should continue to do so because, for many patients, the increased bleeding risk does outweigh the benefits—but don’t stop taking aspirin until you have this discussion.